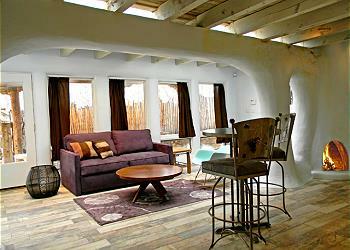 This light, bright and airy studio is of extreme contemporary design and will delight aficionados of everything modern. 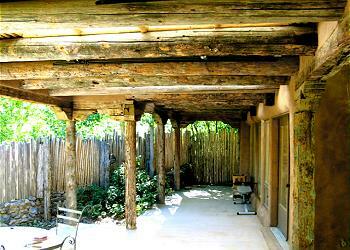 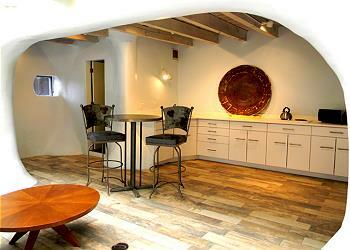 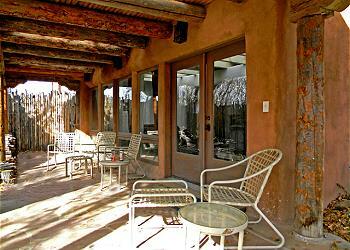 Thus, you can lodge in an historic hacienda yet enjoy the uplift that comes with contemporary architecture. 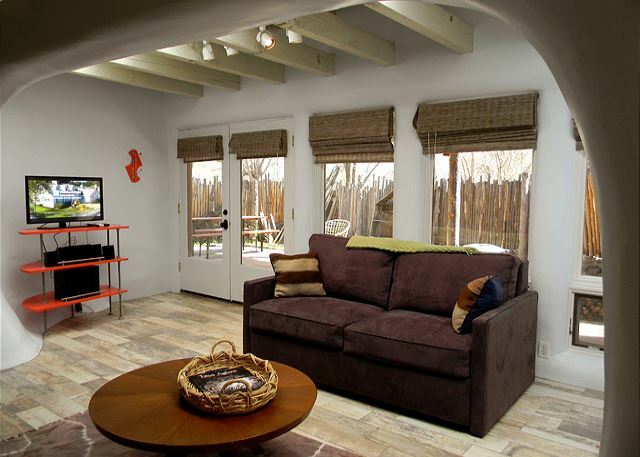 The American leather Comfort Sleeper has been rated by past guests as, "The best night's sleep ever" and "More comfortable than most beds". 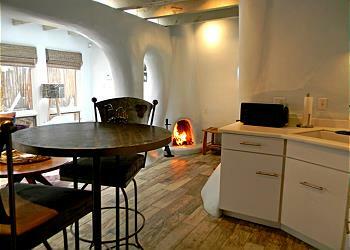 The art of cooking takes place on the built two burner cook top stove and free standing microwave oven. A small but complete bathroom has commode, walk in custom tiled walk in shower and upscale glass counter top sink. Walk out to the large portal (roof covered patio) and enjoy inclement weather year round. 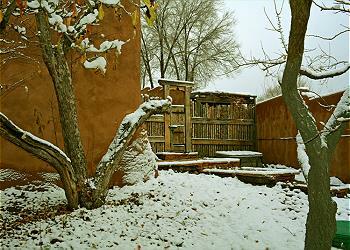 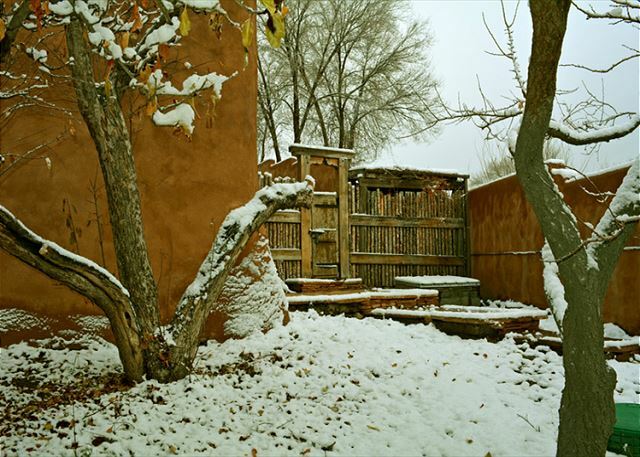 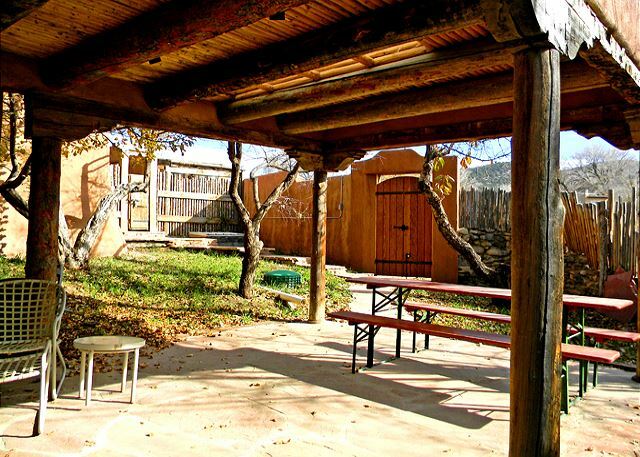 The very private yard and patio are hidden from the outside world by coyote fencing (Aspen limbs) so popular in Santa Fe and Taos. Included outdoor furnishing are picnic table, lounge chairs, and small charcoal grill. 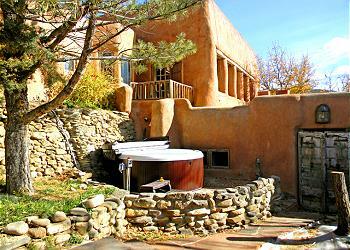 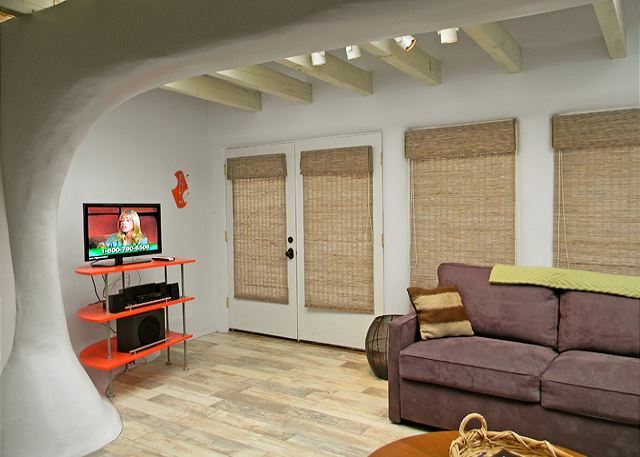 The shared hot tub is closest to the studio and through the far end exterior patio door. It is 3 stairs up from the ground level patio making late night soaking very inviting and very convenient. 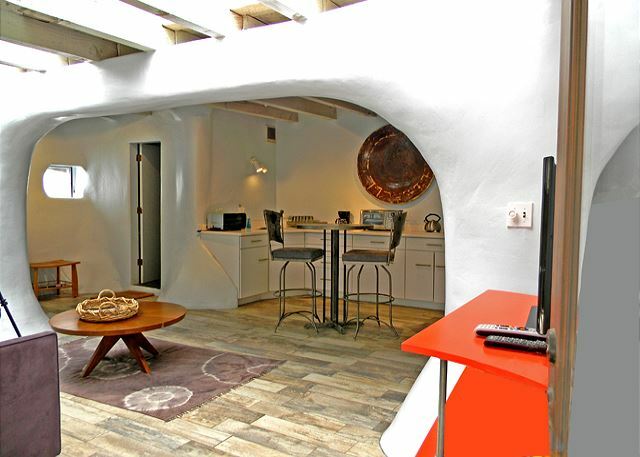 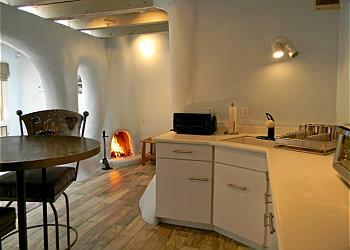 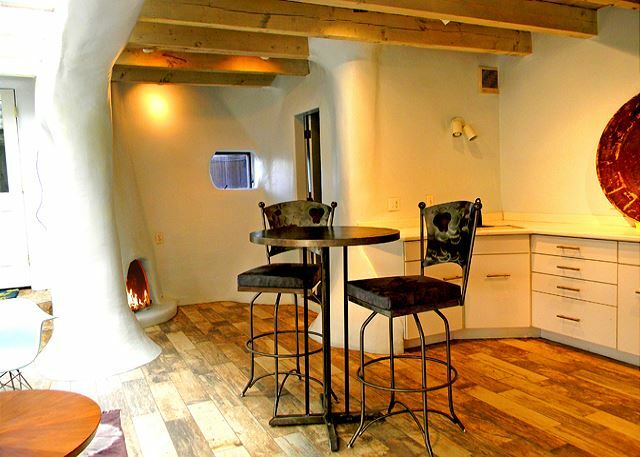 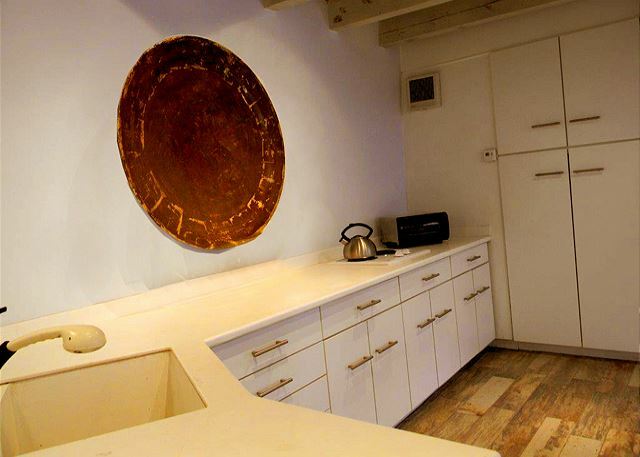 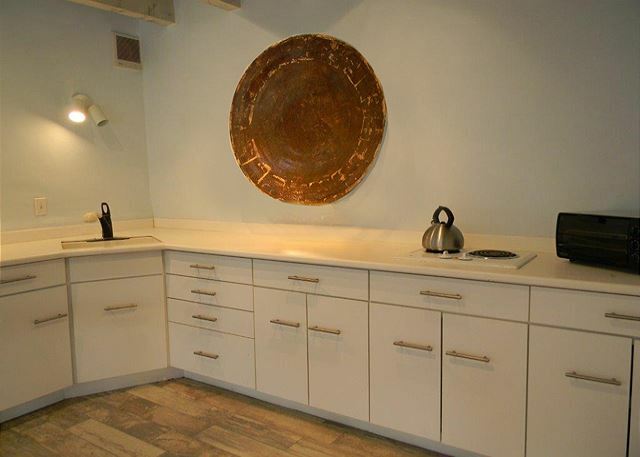 Contemporary architecture is extremely limited in the Taos area, making this a truly unique vacation rental lodging opportunity. Call us and we will walk you through any questions you may have. 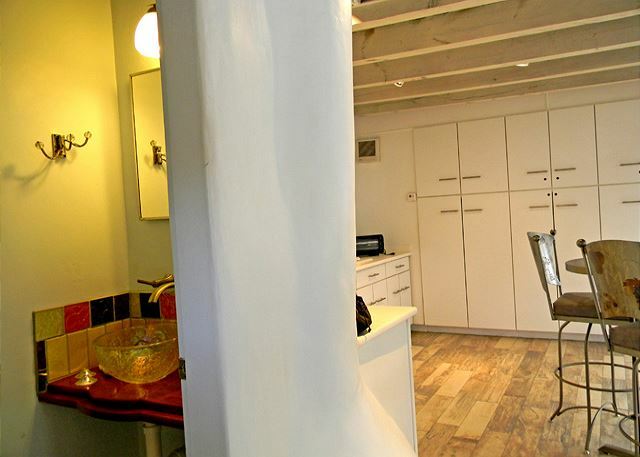 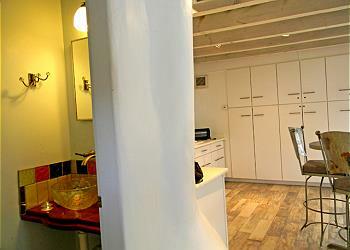 Or, book this charming studio on line and reserve your vacation.